->Want to make a stunning style statement even when it’s down pouring? This topcoat is what you need. 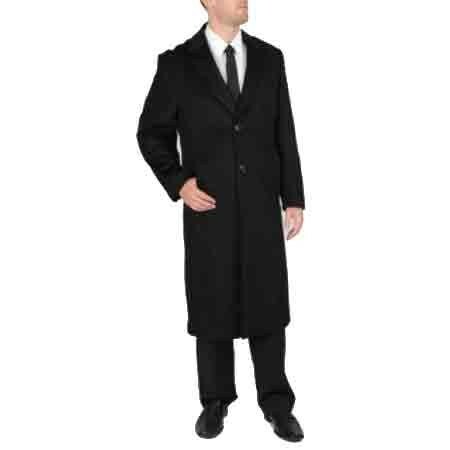 ->In black, this full-length overcoat for men features a wool and cashmere construction, complete with central button fastenings and three sewn front pockets. ->Three button cuff detailing; fully lined; centre vent at the back offers ease of movement. ->Crafted with great attention to detail from high quality wool material, you will love the comfort coupled with durability. Shop before its gone!